You want to make the life's most important events special. You have your savings for that. You can book a holiday in Maldives. Once in a lifetime event can not be a trial. If you want to propose your dream girl you want to make it special and memorable for whole life. 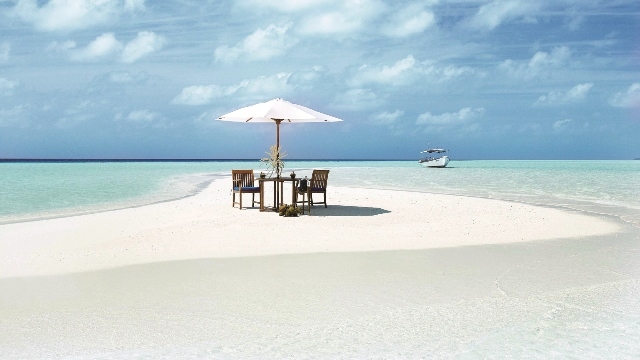 Here is a collection of spots in the Maldives recommend to declare and propose your girlfriend. I like sandbanks. I could say the sandbanks are the most beautiful places in the Maldives. Stunning beauty of the nature makes you feel tuned and excited for that special event. You get a 360 degree view. You are sorrunded by soft white sand that is encircled by the clear waters fanding into blue. You see the horizon, other islands around and boats passing by. You feel openess. Its a private ceremony with only you, your partner and your photographer who captures the magic moments. A table for two with some cocktails and canapese would make it even perfect. Dressed up in light colours would look great in sunset. You can join a dive but how can you actually speak underwater? 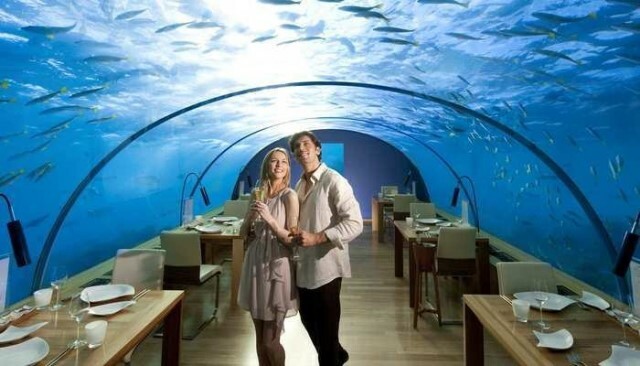 Ithaa underwater restaurant at Conrad Maldives another special place to propose your girlfriend. Mantas flying over and different colours of fish witnesses the event. Its one of those rare spots on earth. Even if you are staying another resort you could book a lunch at Conrad and make your life's special event a great one. Many resorts offer sunset cruise. A boat take you on a cruise in the Indian ocean and you are served with sparkling wine or a cocktail. Pre-order a bottle of champagne for your special event. You cold book a private sunset cruise if you wish. Some resorts have small sail boats for couple cruise which is perfect. Watch dolphins jumping up high or just following your boat. Toast your champagne, let the sun witness your affair. Tell your girlfriend how much she meals to you, tell your plans. Hear hear feelings about you. Propose with passion and love. Your memories will stay there forever. 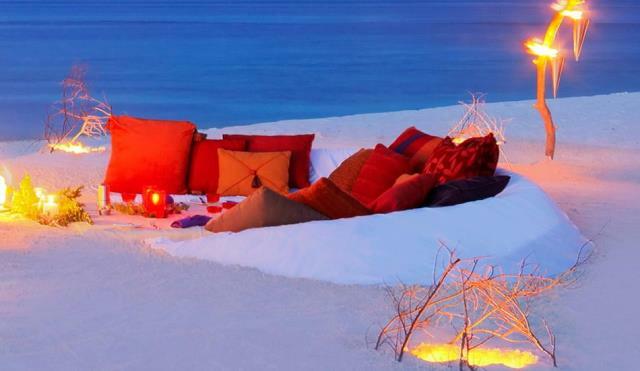 Table for two at an isolated spot on the beach would be great to propose your lover. Make sure the weather is perfect, not windy or rainy. Let the lanterns lighten up the beach. You hear nothing but gentle waves of the shore. Its your natural music. Bright full moon is up there to witness you. It would be a glorious setting to make your proposal.